Back in January I was one of the 3 lucky surprise winners of Canadian Nail Fanatic's 100 followers giveaway. I was very excited about it! 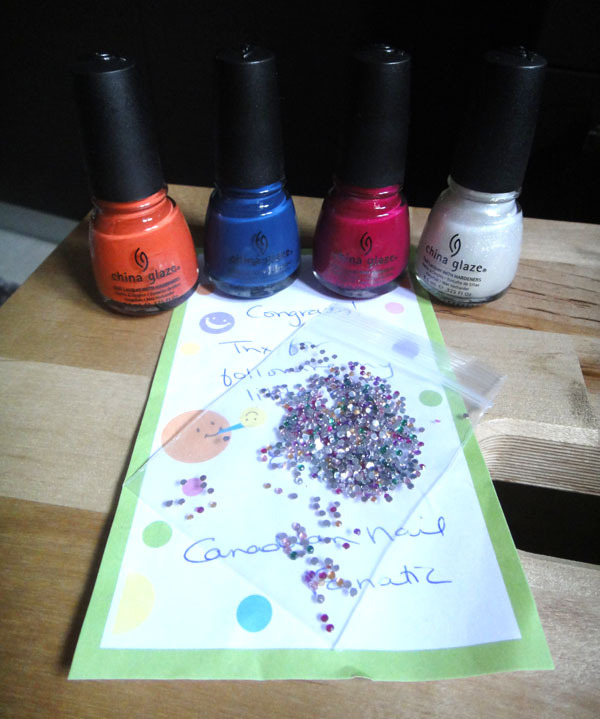 And the prize was 4 polishes of the China Glaze Anchor's Away collection and a pack of nail art rhinestones! From left to right we have Life Preserver, First Mate, Ahoy! and White Cap. The first couple I decided to try were Life Preserver and First Mate as I think the two colours go really well together. 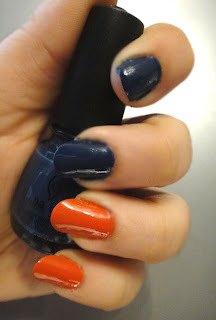 I applied two coats of each colour over base coat. I really like how they look together on my nails. 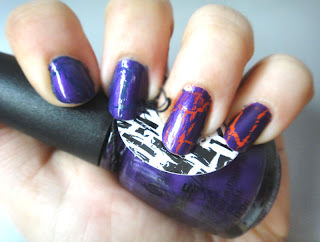 For an extra oomph to this mani I added a coat of China Glaze Fault Line, a purple crackle from their Crackle Glaze line. It looked fantastic over Life Preserver but it was a bit dark for First Mate I guess. 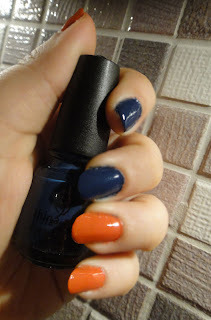 I like First Mate, very "nautical" blue! 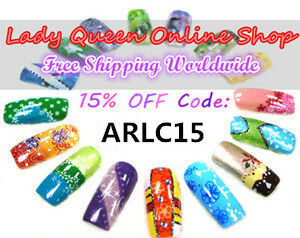 ti fantastika xrwmata p exei h china glaze!!! I love lifer preserver ! !